As a quilter the sewing machine is one of my favorite toys…..but there are times when sitting with needle and thread is wonderful. 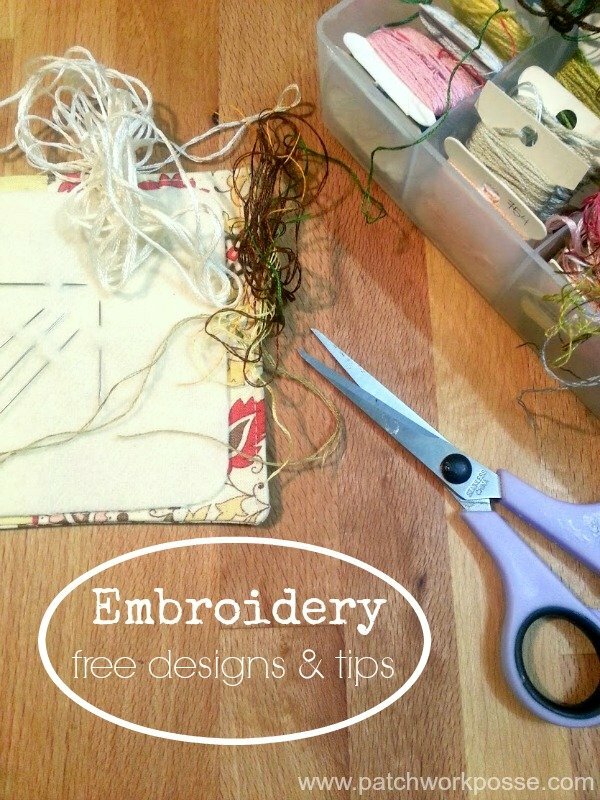 There are a lot of resources and tips for embroidery along with free embroidery designs here on the site. To help you navigate through them quicker (so you can print and get going with the embroidery part) here is the whole collection. This list is ever growing– make sure you Sign up for email updates for new embroidery designs and tips.